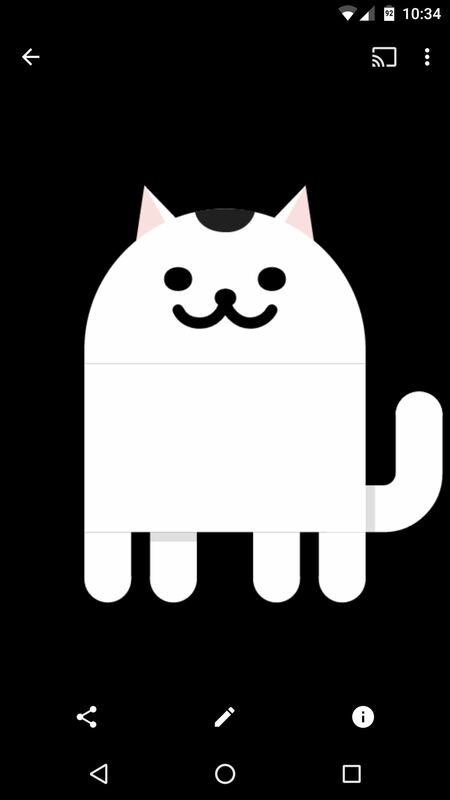 Okay, so that headline definitely got your attention, but what the hell do cats have to do with Android Nougat? Well, apparently, Google's on a far-out trip reminiscent of the post-India Beatles era, because this is actually a thing. Previous Android versions have included an Easter egg that appears when you tap the "Android version" entry in Settings, with Marhsmallow's being a Flappy Bird-style mini-game that substituted an Android robot for the titular fowl. 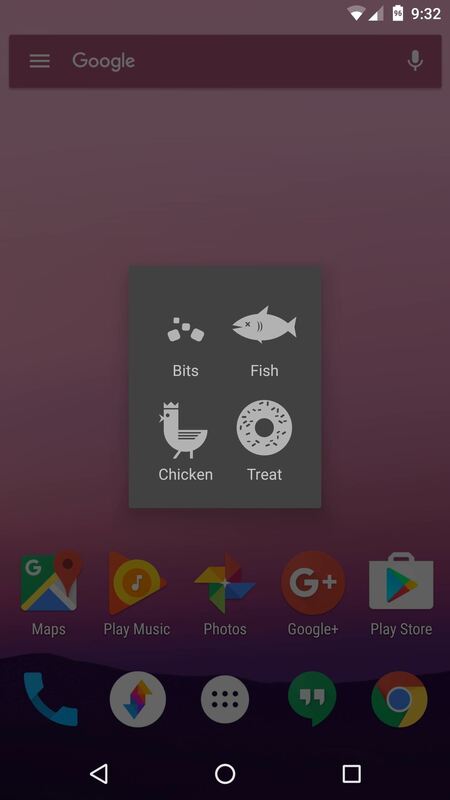 But the Android Nougat Easter egg takes Google's fun-loving flair to the next level, by unlocking a custom Quick Settings tile that lets you put food out for imaginary cats in the hopes of luring one in. It's just as odd as it sounds, and it's a little more involved than previous versions, but it's definitely a fun time-waster—especially if you're fan of Neko Atsume. 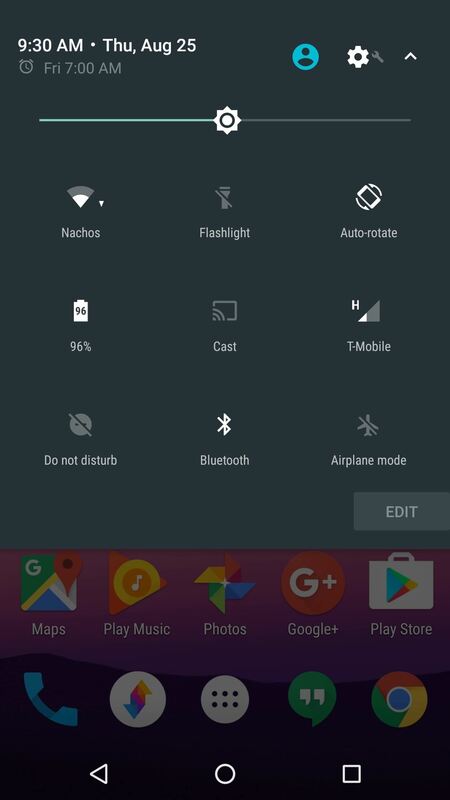 To start, head to the About phone menu in Settings, then tap the "Android version" entry about five times. 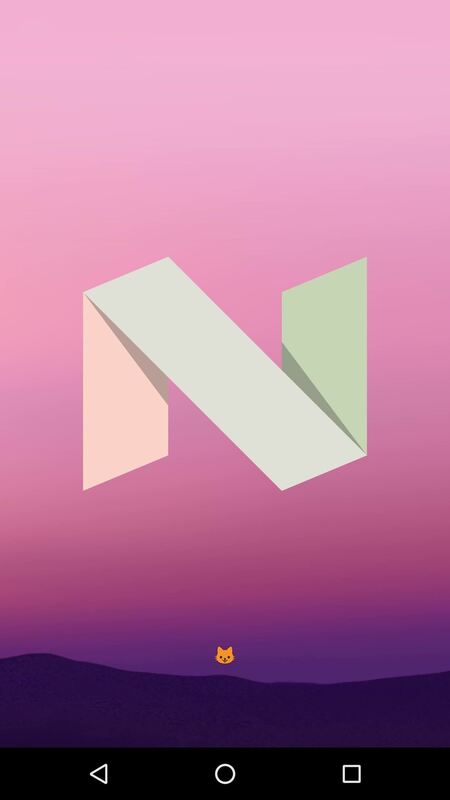 Do this rapidly, and eventually, you'll see the Android Nougat "N" logo. From here, rapidly tap the logo ten times, then press and hold with one extra tap. When you do that, you'll feel a vibration, and a small cat emoji will appear towards the bottom of your screen. Once you see this cat, you're ready to move on to the next step. Now that you've unlocked the Easter egg, there's just a little more work you'll need to do before you can start catching cats. 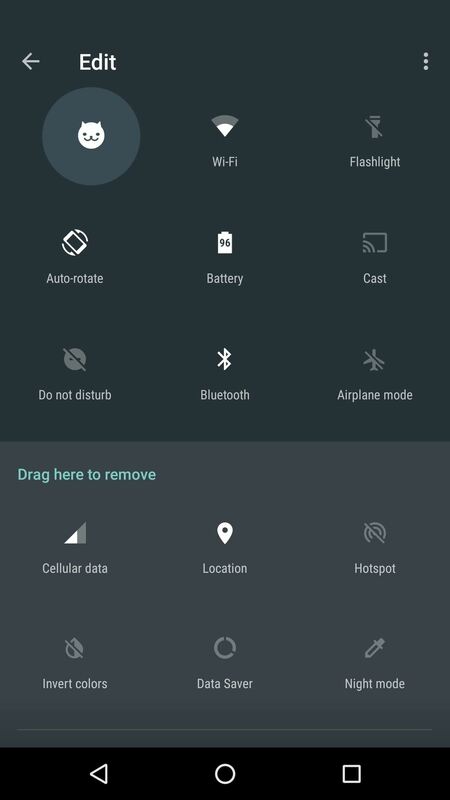 So swipe down from the top of your screen two times to fully expand your Quick Settings panel, then press the "Edit" button in the bottom-right corner of this menu. From here, scroll down to the bottom of the list, and you'll find a tile labeled "???? 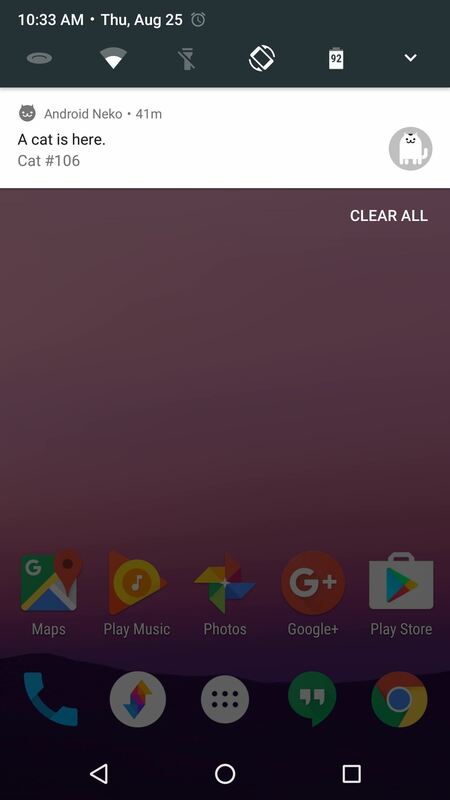 Android Easter Egg." 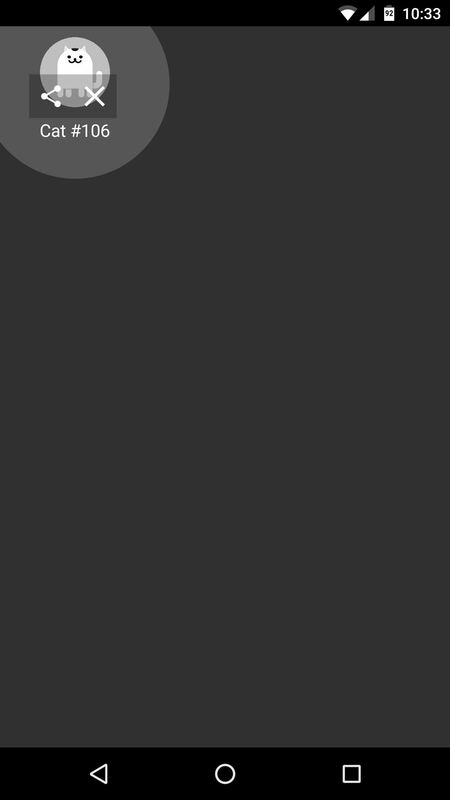 Long-press this tile, then drag it up into the dark gray area at the top of this menu. 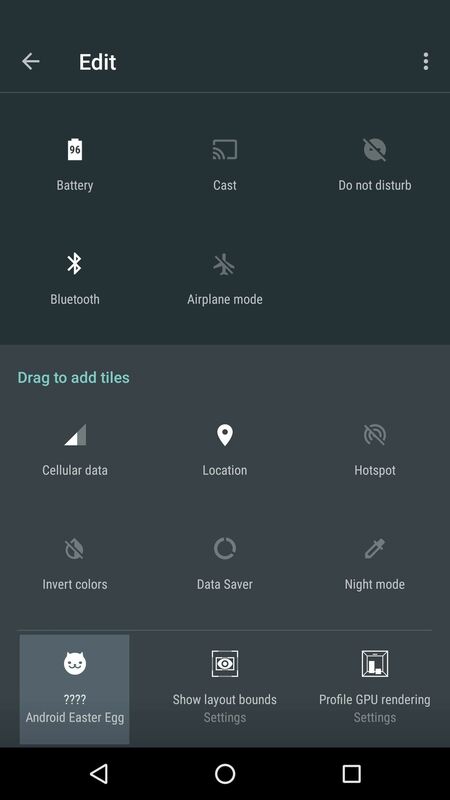 Once you drop it in place, the Easter egg tile will be accessible amongst your regular Quick Settings toggles. 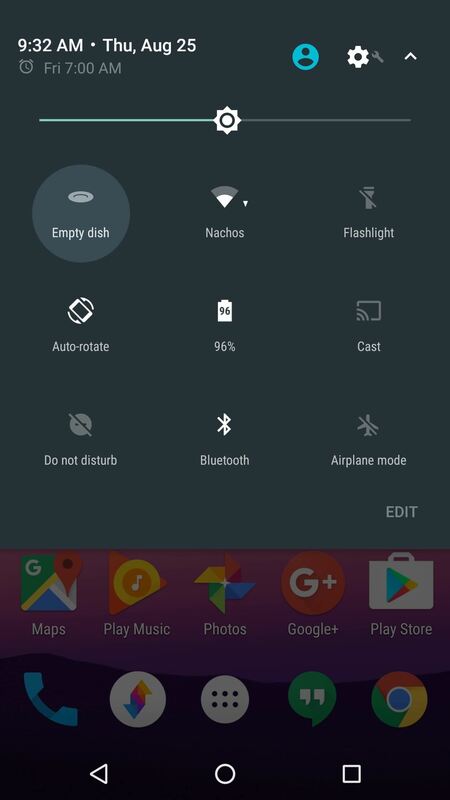 Next, expand your Quick Settings menu again, then tap the "Empty Dish" icon. From here, you'll be prompted to pick a snack that will hopefully lure in a cat, and the options are Bits, Fish, Chicken, or Treat. When you select one of these, the Easter egg tile will display the treat you chose. 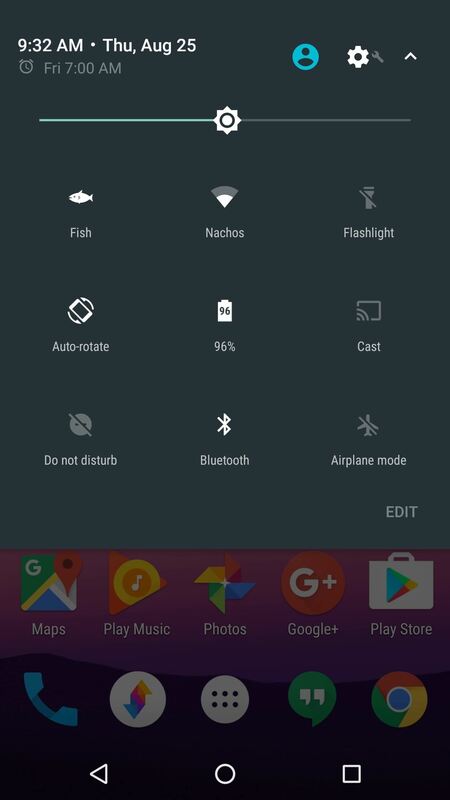 For now, just leave the Quick Settings tile alone, as this is basically cat bait. Eventually, though, you'll receive a notification that says "A cat is here"—just tap this to view your new feline friend. It may take a few hours for your treat to lure in a cat, but once you've nabbed one, you can long-press the smaller icon, then tap the share icon to save a bigger copy, or to send it to a friend through any compatible service. Once you catch a cat, the Quick Settings tile will reset to say "Empty Dish" again, so you can repeat this same process to catch more cats. If the numbers are any indication (Cat #106 is the one I caught), there are hundreds of unique cats to catch—more than double in Neko Atsume. We have no idea what could happen if you catch them all, but judging by the rest of this crazy Easter egg game, it would definitely be something off the wall. This doesn't work on the Samsung Note5. 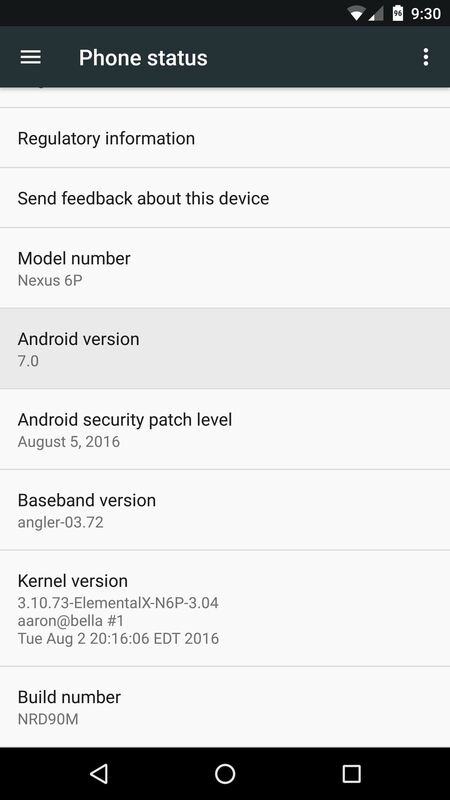 YES it does work on the note 5. Press the vertical three dot icon in the upper right to edit the icons. Instead of the edit button they refer to.